A magical day to you! One night we were at the dinner table and there sat this bottle of BBQ Sauce, as you can see it has quite a funny picture on it. Dan asked the girls to write a story about the picture ... Caitlyn's imagination ran wild and here is her story. It is quite long but cute (sorry for any formatting issues, I am working on it)! Once there was a guy named Fred. Actually, his name was Fredwardo, but everyone just called him Fred. Or Freddy. Or Fredo. Or, sometimes, when he and his friends were playing video games, he was Fredzilla. But mostly, everyone called him Fred. Except his mom, who always called him Fredwardo, much to his annoyance. So, for this short story of Fredwardo, we will make him very happy and just call him Fred. One day Fred was walking down the Main Street of his hometown, Redbury, Pennsylvania. Fred had lived in Redbury all 18 years of his life. Well, if you didn’t count the two weeks he lived in Aaronsburg; which is about two miles north of Redbury. It was only two weeks, he’d tell himself. It didn’t count. Actually, it did count; but that’s not what we’re talking about right now. As Fred walked down Main St, he thought of how boring his life was. Nothing ever happened in Redbury. Nothing! Well, now Fred was wrong about that. In fact, a lot went on in Redbury, just very few knew about it. In fact, not even the mayor that right underneath his feet there was a secret spy agency run entirely by kids that the government occasionally hired. But Fred didn’t know about that. He never found out about it. So, as Fred walked down the street, wishing something, anything, would happen, a hole suddenly opened up in the sidewalk front of him, and he walked right into it. “Hello. Welcome to the Boarding Center. Where is your destination?” said a cold, female voice. “D-destination?” asked Fred, opening his eyes. He was in a large metal room with no windows. In front of him there was a desk and chair, and, set a few feet behind that, was a fence with a small gate, blocking off the rest of the room. “Hello. Welcome to the Boarding Center. Where is your destination?” Fred jumped up. Where was that voice coming from? There was no one at the desk. He looked around, trying to find the source of the voice. Upon looking up, he saw the hole he had fallen down. Fred just stood there with his mouth hanging open. It talked back! Fred was shocked. “Hello?” said the increasingly impatient voice. “Y-you. . . . talked,” Fred finally managed to say. “It isn’t like I have anywhere to go,” grumbled Fred. While he watched, a shimmery light appeared around the desk. There was a flash, and a pretty young woman with long brown hair and bright blue eyes appeared, sitting in the chair. This must be Mazy, thought Fred. Mazy stood up, walked around the desk, and folded her arms across her chest. “What?” said Fred caught off-guard. He had expected her to shake his hand or something. “Yes! Anywhere!” yelled Mazy. How come I always get the dumb ones? she thought. “OK,” “ said Fred, deciding. “How about. . . . the moon?” She’ll never be able to send me there! I’ll have her stumped! What is this guy playing at? Mazy thought. What’s with the goofy smile? Hmm. . . Oh! He thinks I’m lying! Idiot. I’ll show him! “WHAT? !” screamed Fred. She bluffing; right? “Wha-” But that was all Fred got to say before a hole opened up in the floor, and swallowed him. Five minutes later, Fred was on a spaceship to the moon. There were two other people on it with him. One was a man dipping taco chips in BBQ sauce, and the other was a crazy looking thirteen-year-old girl, who was bouncing up and down in her seat. “Hi,” said the girl in a loud voice. Her big green eyes, and wavy brown ponytail made he look mad and wise at the same time. “Yup. My name’s Crystal,” said Crystal. “What’s yours?” The ponytail high on the back of her head flipped as she tilted it. “You made that?” said Crystal. “Well, sure little lady,” he said, handing over a chip and the BBQ sauce. Crystal tried a bite. “OK,” said Fred, who loved BBQ sauce and had tried many different kinds. Though, He was sure that Crystal was exaggerating a bit. “Thanks, little lady,” said Bubba, ruffling her hair. Soon, they were all floating around the cabin. “You’ve been in space before?” asked Fred, surprised. She was only thirteen! Suddenly, there was a loud noise, followed by a horrid smell. Fred opened his mouth to say it wasn’t him, but instead made a face as the horrible smell met his nose. Fred thought about this for a minute. He did need a job, and here was the perfect opportunity! “How much do you need?” Fred asked. “Would you really? !” asked Crystal. “You mean it? !” said Crystal, exited. “Oh . . . .” said Crystal, look down at her feet again; which were really up near the ceiling because she was upside-down. So, really, she was looking up at her feet. “Really?” asked Crystal, perking up, er, down? Lets just go with up. And so, when they got back to Earth, Bubba started his line of BBQ sauce, adopting Crystal and hiring Fred. With Crystal’s help, he sold BBQ sauce all around the world, making millions happy. Crystal got a great dad, and grew up to start an orphanage, something she didn’t get to have for most of her life, a home. She gave shelter to many people and helped them find homes of their own. She often told stories of her adventure when she was young, and you always knew there would be BBQ sauce if you wanted it. And Fred, after doing a wonderful job in his first commercial, became an actor, starring in many movies, and guest-starring on lots of shows. He now has his own sitcom, ‘Fredwardo’s Life in Space,’ and is doing great. He frequently visits his friends, Bubba and Crystal, and goes to the orphanage often, donating hundreds every time. 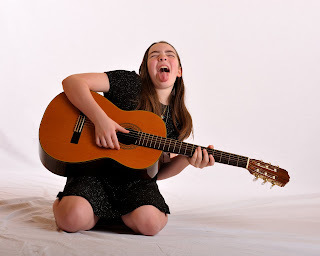 Wordful Wednesday - Another Beautiful Child of Mine! Sometimes I wonder where these beautiful children came from. Just a little more attitude! Take a minute and stop by Viegas Photo to see some of Kim's photos, he really is an amazing photographer! Today is Monday and the count down to Christmas is here. I have posted a little about some of our family changes to take the focus of the holiday season away from the shopping and commercialism and back to the family - we are working on this (I will share more later.) But for this year my mom and boyfriend are traveling the 1000 miles to visit us and will arrive on Christmas Eve! So we need to be ready! So I will be finishing up all sorts of things this week, including our BIG present to the kids (I will have to share this after Christmas as they read my blog)! I am so excited about it though! Last night as I finally closed my eyes, I said to myself: "Self there will be no blogging until you have finished ALL your holiday 'stuff'" But then lots of ideas started running through my head! So here I am ... I am going to share one little thought today about something that has made our family life LOTS better: Co-Sleeping! I hope to add more about this soon but for today I am going to just share this little story of why it is nice for us! I love listening to my children but I will say that during the day with five little ones running around there are times that I miss a lot. But very frequently as we are all cozied into our beds, lights out, the kids get to chatting and here is where I hear lots of very cute things! Things about their day, how they perceive the world, their future plans and imaginations run wild! I really love this time, the kids seem less inhibited and share freely, I learn so much - it is kind of my personal bed time story - which offers insight to my children. Providing ideas for projects, school lessons, gifts and just some smiles. A little conversation from last night between Jacob (age 7) and Rick (age3). I am not sure what they were talking about originally but here is some of what was said. Jacob: "We all have a brain." Rick: "I do not have a brain." Jacob: "Your Brain tells you when to eat." Rick: "No, my belly tells me when to eat." Jacob: "But your brain tells your body what to do." Rick: "I do not have a body." Rick: "I do not have a brain because if I have a brain I will die and I do not have a body because if I have a body I will die." Jacob (in an annoyed tone because he knew he was getting no where with the three year old): "Fine". On the side lines, mommy thinking: "Oh my, I guess we need to talk about our bodies and how they function and also about death" - reminder for lesson planning! And last night we had one other reason why I love the family bed. The girls now have their own room. The family bed has always been a choice for our children, when we moved here the their is two bedrooms right next to each other and the girls wanted to share one. But last night about 3:00am in comes Ally with little sniffles and says: "I had a bad dream" and I said: "climb in" and she did and after a little snuggle, settled right back down to sleep! I love the fact that I do not have to get up n the middle of the night all the time, the kids are always welcome and sometimes cuddle in! So there you go, like I said I have some ideas for future posts about co-sleeping but for today I have things to do and need to go! I hope that everyone has a wonderful week, Happy Holidays or Happy Solstice or just a Magical Day - whatever works for you! Day 5 - Cloth Diapering Week - Now What? I did the research, and made the purchase and the commitment to try -- I started and now I have a wet diaper in hand ... what do I do with it? I normally do laundry in the morning, so they can get to the line as early as possible! So I usually just keep my morning soiled diapers in a basket until I am done my two loads of laundry. Then my washer becomes my wet pail -- I fill it up, add soap, and put in all my soiled diapers to soak. They stay here until the last change of the night and then I start the wash, put the kids to bed and by the that time they wash is done and ready to hang up to dry! There are many methods ... wet pails, dry pails, there are also many kids of bags that can be used and laundered also. There are fancy carrying bags, bags that hang on door knobs and lots of travel bags for on the go. 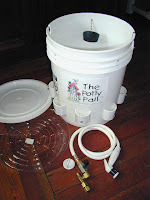 Green Mountain Diapers has a complete cleaning system called The Potty Pail and bum Genius has the Diap er Sprayer. Now personally I think these high zoot accessories are just another thing to have around the house but for some it makes life easier! I have added a couple more resources to my sidebar list of others who have cleaning ideas, so look around and find what is best for you. On the topic of cleaning, one of the most important issues is the type of detergents that you use. This can really make or break your diapering experience. I personally like Charlies Laundry Powder, my local coop sells this in a bag for $8.99 and it does 80 loads, I use it for all my washing needs! Things you need to remember is that certain laundry detergents and soaps have different agents that may work against your diapers. Diapers will be laundered a lot there for you do not want to use really harsh chemicals that will break down the materials. Also the chemicals are not needed and residue from them can transfer to babies sensitive skins. Also most types of oils which are found in softening agents can make your diapers less absorbent. Click on over to the Diaper Hyena, they have a page all about the differences between detergents and soaps. Again, I think for each of us a little research and a little trial and error is what makes it work! 1. After each use I lay out! Amazingly enough that even if they are slightly damp or have a slight smell as soon as they dry they no longer smell! I can not explain this but it is! 2. I only wash my wool covers every week or two depending unless they become soiled or start to smell at all! 3. To wash, I fill my sink with some warm water and Foaming Wool Wash with Lanolin by Sheepish Grins. Swish around gently and then let soak for 15 minutes! Rinse in warm water. Being gentle to to not wring or pull fabric. 4. To lanolize I use a solid lanolin by Northern Essence - I dissolve a glob in boiling water and add to a sink of warm water and soak my wool for 15 minutes. 5. I roll gently to remove some water, then I roll in a towel to remove more water and then I lay flat to dry! Aside from the soaking time it really only take a few minutes and leaves your hands nice and soft from the lanolin! Again there are many products out there and I am sure there are also many variations of this method. This works for us! 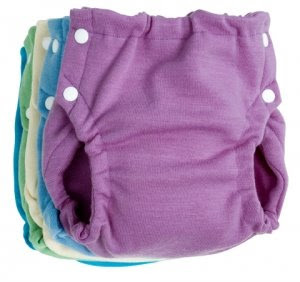 I've added some more links to my sidebar, there is so many wonderful places to collect information about cloth diapering, so go check it out!!! Now I am going to run because yesterday I was able to get cut out and hand sew three longies and one shorties soakers from the three sweaters that I bought for $1. each! I just have to go get some elastic for the waists!!! I think I will be able to make at least four or five more shorties from the remainders of the sweaters. I have been taking pictures and will share with you the steps I took soon! Believe me, if I can do it, you can do it!!!!! I have been doing so good keeping up this week with a post each day! But yesterday I went to Goodwill and found several wool sweaters for $1 each and decided that I was going to try to make my own wool soakers! So my computer time has been taken over by cutting up wool sweaters, and sewing (by hand because I do not have a machine)! Good news is ... it is really easy and I have taken some pictures and will include them in my Cloth Diapering posts that will be coming soon! Simply Serena - here you will find many, many link! Katrina's Sew Quick Soaker Pattern - step by step instructions with pictures! 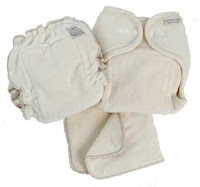 Eco Baby Buzz - Lots of great cloth diapering information, along with other parenting 'stuff'! Kidcentrix.com - This is the instructions that I am using today! Blossoms and Blessings - Step by step with pictures! Thank you to everyone who has said I am 'brave'! Let me say that really it is like any change we make in our lives, there takes some steps to get there but usually it becomes second nature. I would not go back now and it is no more difficult than disposables. There was also a couple comments regarding the warmth of wool --- we have a wood stove so usually it is quite warm in our little house, so the wool shorties are great for around the house and for in the summer months. We also have long pant wool soakers -- that is what I am making today for outside and colder weather. Wool is comfortable to wear in both warm and cool climates. This is because wool is an absorbent fiber. When the air is cool and damp, wool absorbs moisture and keeps a layer of dry, insulating air next to the skin. When it's warm, that same absorption capacity takes up perspiration and keeps insulating dry air next to the skin, making the body's natural cooling system work better. Thank you to everyone who has been following my posts and I promise I will be back with a real post soon! I really like wool soakers (covers)! I think they are cute as can be on my little ones and they are easy to use. They can be worn without anything over them and they work great! Here is my little guy wearing his new Shortie Soakers that his Grandmother so very kindly knit and sent to us! They are our favorite. This is not the best picture but they are a beautiful mix of colors that go with almost everything! They are comfortable and easy to move in! We love them! This may not be the most spectacular Wordful Wednesday post BUT I am trying to keep up with Cloth Diapering Week around here and there is no way that I can do two posts in one day!!! 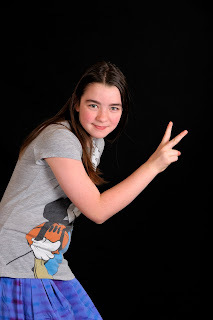 But I am preparing an exciting Wordful Wednesday for next week ... guest writers, my daughters! Here are a few pictures of Wool Soakers that I have bought on eBay over the past few weeks, each under $10! eBay is a great resource, I have found lots of diapering supplies there. I think you have to try to be frugal because sometimes it is NOT worth paying for the shipping but in general I have found some great deals! I thought these finds were wonderful! Wool Soakers can be costly, I have seen them for as much as $85.00 a piece for Longies! I personally can not afford that and if I could I am not sure I could justify it! But if you are creative (I am working on this for me) you can make Wool Soakers, there are tons of resources on the web. One way that I am hoping to try is recycling wool sweaters. 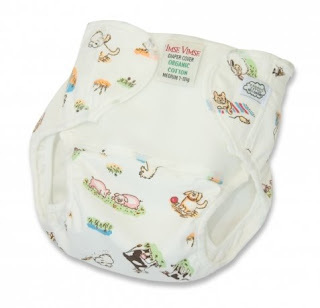 Angel Baby Organic - There is some wonderful information about why you should choose to use cloth diapers and why using organic is also important. It is worth stopping over to read! Green Mountain Diapers - You can spend as much as you would like here! But they do have some affordable things too! Frugal Diaper Sewing - Here you will find lots of great ideas on how to make your own, including patterns, pictures and everything. The Cloth Diaper Whisperer - This is a great blog that offers lots of resources and ideas! Dinker and Giggles - Another great blog that has a complete section of 'Cloth Adventures'. Gather some information about why you are choosing cloth. For some this is just the first choice but for others (me) I needed to have real reasons ... I need to compare all the aspects of cloth versus disposable. You can see my thoughts here. Determine what things are most important to you ... for me I wanted versatility in size/ages, as little plastic as possible and as much organic as possible and then I had to factor in affordability. Everyone may have different important things, it helps to narrow the options if you know what these 'things' are for you. Set a goal. I decided that I was going to be completely cloth by the time the new baby arrives in February. Do a little research and see what is available in your area ... don't forget to check out Freecycle, Cheapcycle, and Craigslist in your area ... I see stuff all the time, some good deals, some not! 'Jump' - just go for it, I made a smaller investment to start (just enough to get me started) and have spent the last two months collecting things and trying things! Then you are ready to get a plan of attack ... tomorrow I will give you a peek of how we 'handle' our cloth diapers. I am not saying it is a perfect system and I am sure that each family will come up with what works best for them BUT I remember my first day ... as I changed the first cloth diaper and stood at the laundry room door wondering "Now what?" I will also include our care of wool. If you have any additional information or links please leave them here and I will compile a list of resources, see my sidebar for a few resources that I have found! Day 2 of Cloth Diapering Week - Shopping! So here goes, this is how I finally started ... I spent well over an hour at Cutie Tooties Cloth Diaper Shop asking the shop owner Sunny lots of questions, reading labels, feeling the product and just thinking! As there were a couple of criteria that I wanted to meet (see Day 1 Cloth Diapering post for the list) it made shopping a little easier, as it narrowed my options. I was really unsure of what style I wanted to use ... prefolds, AIO (all in one), pocket, covers, soakers, etc... for a good explanation of each one go here. After much thought I decided that the prefolds seemed most versatile for different ages, stages, and sizes. As I was looking for something that I could use for my three year old, one year old and the newborn (in February). This seemed to be the most cost effective for me also, as I would not be buying for just one stage. Organic Prefolds - I bought 24. I have two children in diapers and no dryer so I wanted to make sure that I had e nough of these for two days (the rule of thumb, I was told). They have been great! I bought the toddler size and it works great for both my one year old and my three year old. I had a few smaller prefolds that were given to me and I use them for doublers at night but in general these work great! Snappi Diaper Fasteners - I only bought two of these one for each child, because really I don't need any more BUT I keep thinking I will pick up two more because what if one breaks or gets lost, it would be really inconvenient! For me these are great (although they are plastic) but it saves the hassle of pins. My one year old is not easy to change as he dislikes it very much and screams and wiggles like a mad man so these make it so much safer for all of us! Imse Vimse: Organic Cotton Cover - I bought eight of these and that has been plenty for two children. And in a pinch I can wash by hand and hang dry, they dry fairly quick. They also have been great! I change these every couple of changes unless soiled. They are adjustable in size and easy to use! I have not had any leaks with them. Wool Covers by Stacinator - I bought four of these to use at night and love them! Wool is amazing and I have s ince tried to expand my wool collection (more on that later). It is easy to care for and really is just so cute on little ones! So this is what I started with. I really had no idea what I was doing, but I was excited and determined. Matter-a-fact, Sunny from Cutie Tooties was even kind enough to demonstrate folding techniques on a doll that she had in the store! I have since perfected (for us) this skill and even come up with my own that works for us. Stop back for more information on our cloth diapering journey, later this week. I will be updating what additional supplies we have acquired, how we handle soiled diapers, and care of wool products. I will also be sharing how easy cloth diapering can be and how it has helped with beginning to potty train our three year old! Day 1 of Cloth Diapering Week - Procrastinating! It took me forever to make my decision to go with cloth! I can give you every excuse in the book BUT the bottom line is that I was exploring unfamiliar territory so I was nervous! I have changed many diapers over the years ... my younger siblings, babysitting, teaching preschool, etc... but never had I ever been exposed to cloth diapering. 1. Babies who use cloth diapers have more diaper rashes. 2. You have to use harsh chemicals to clean the diapers. 3. It is a LOT of work! So with this 'knowledge' I ran right out and bought the best disposable diapers money could buy and went with them for baby number one! I was a clueless mommy trying to do all things right, I never thought twice about this decision. With baby number two life was about the same, I thought I was getting the hang of being mom but still was trying to do things right and by the book so disposable diapers were my choice ... the only difference is that I had realized that the 'best' did not mean the most expensive so with that in mind I found a generic brand that worked! When baby number three came along, I will be honest I was tired and trying to survive ... never gave diapering a second thought, it had been working, why change it!!!!!! Somewhere between baby number three and baby number four (a four year gap) I made some changes in my life, honestly I am not sure where all the changes came from but I think they are for the best! The first change was that I became a stay at home mom, deciding to put my energies into my family. I also went back to school, meeting lots of wonderful people and building more confidence than I had ever had. Baby number four was born at home surrounded by my family and two amazing midwives that helped me to see just how amazing birth and parenting can be and inspired me, by showing me that I could be a great mom! This is where many changes began ... but I still was not sold on cloth diapers. As a family we had challenged ourselves to become more 'green' and so the idea of cloth diapers crossed my mind but I still had the myths in my head that I just could not shake. Then I found gDiapers, a perfect balance between disposable and cloth. We used gDiapers for baby number four, until he just could no longer fit into the gDiapers, which with my chubby little guy only took a few months. So I regressed back to all disposable ... but this time I maded the choice to to use Seventh Generation a greener choice! When baby number five came along I was now faced with two children in diapers so I decided to give gDiapers a try again, once again my chubby little baby grew out of them really fast (only a few months). But this time I was feeling more frustrated and really wanting to make real changes, so I started researching ... now let me tell you this is where I became overwhelmed. There are AIO, prefolds, pockets, one size, fitted, cotton, hemp, fleece, and on and on! My head was spinning and I felt trapped by more knowledge ... I honestly could not afford to buy them all to just try them. I asked around and everyone had an opinion ... I just did not know what to do! So in true ME fashion, I did nothing ... procrastinated some more! Then we were surprised that we would be blessed with baby number six. So now I have baby number four who was going to turn three and had no desire to potty train, baby number five who just turned one and baby number six coming soon ... I made the decision that I was going to go all cloth by February 2009 when baby number six arrived! In October 2008, I finally made the big change. I did not do it alone. I research, I asked, I found a lovely lady, Sunny over at Cutie Tooties Cloth Diapers, who has a store close by and agreed to assist me, answering my questions and letting me look, feel and contemplate for hours! During this process there were a couple of things that became important to me ... if I was going to make the big change to cloth diapers then I wanted to make them 'right'. So I really spent a lot of time thinking about what was important to me and my family. This is what I came up with, which greatly helped me to make my decisions. 1. I wanted to avoid plastic of all kinds ... we have tried really hard as a family to use as little plastic as possible and there for it was very important to me to not have plastic in my diapering process! 2. I really wanted to go with organic or natural fibers ... fewer chemicals in the process. This too has been a family goal and figured if we were going to invest in the process then we should invest in what we truly believed was best. 4. We line dry everything, there are some brands that are better laundered with a dryer (according to some). 4. There was also the consideration of cost, although I was well aware that this was an investment that would pay for itself it is easy to get caught up and spend lots and lots of money. Now if I had started out with baby number one and knew I was going to have six children then I could have easily invested more and made my money back BUT in my heart I believe this will be the last baby so I wanted to try to stay reasonable! So with these ideas and lots of information I made an investment ... one that I can honestly say was wonderful and I wish that I had made it earlier, it has been so worth it! So stop back all this week to see more about our cloth diapering journey! Really I will share some real information with you this week: brands that I bought, what I like or not like so much, little tips that have made things easier for me, etc... Hey and if you have thoughts, ideas, questions, etc... please let me know. I also have started a resource list on my sidebar, if you have a good resource, some information, etc.. that I can link to leave your information and I will grab it!! Well, I am sure it is not officially Cloth Diapering Week, matter-a-fact according to Andrea at Momma In Flip Flops2, November was Cloth Diapering Month, so this fits perfect for me ... LATE AGAIN!!!! Oh well! In October we started cloth diapering our two little ones, you can read about it here. I have done tons of research and spoke with everyone I could and procrastinated until I had other excuses ... so I FINALLY jumped into the cloth diapering scene! I promised that I would update everyone and share our thoughts. I have NOT because it just seems too overwhelming ... I keep trying to get down all the little details and it is just too much ... so instead I have decided that each day this week I will post something about cloth diapering, hopefully this way I will actually post something! Steph over at Adventures in Babywearing posted about how she too is starting the adventure of cloth diapering. She has a great blog and is much better than I at updating, so stop over and see her adventures. If you have a story about cloth diapering, advice, thoughts, products, or a great site to share please let me know I would love to share it through out the week with everyone. I do have a list of links in my sidebar of some resources that I have collected! So stay tuned this week for random thoughts of cloth diapering around our house. I am very excited to share all we have learned and to learn more form all of you! Holiday Celebrations, New and Improved! A little about us: I have five children ages: 13, 11, 7, 3 and 1! We are not a religious family per say BUT we have beliefs, many beliefs and mostly we try to live our lives with kindness for people and our Earth. I try to teach my children about all religions, beliefs and traditions in hope they will find a path that feels right to them. Saturday we headed to the zoo for cookies and milk with Santa, it was a beautiful day with a light snow. As we stood there my two oldest daughters announced: "Maybe we should celebrate the Winter Solstice instead of Christmas!" My husband and I, a little puzzled asked: "What brings you to this thought?" "You know mom, everyone is just talking about what they want ... more and more toys and stuff that we really do not need. It seems that people just do not get it! It is all about shopping and the stores and it is so bad". I pushed a little more: "What is so bad?" "Well, the big stores and all the stuff and how it hurts the Earth and it really does not help people. People are just not thinking about being nice anymore!" I can not tell you just how proud of my children I am. We have already started the research of Winter Solstice Celebrations and possibility of a Summer Solstice Celebration also! Figuring out what traditions we want to keep, how we want them to 'look' and just all the logistics to these celebrations. Do you have any special celebrations or traditions? Over the years we have fostered many kittens in our house. My children love it. They get to have kittens around and play with them! This was our first Foster mommy, Giselle. It was almost five years ago when the Humane Society called and said they had a mommy who was expecting and needed a home for her until her kittens were born and old enough to be adopted. My children were so excited! Giselle became a part of our family and the night her kittens were born was long, tiring and quite amazing. The children were just tickled. This was an experience that brought much happiness but also the reality of life and death. When Giselle's kittens were only a few days old, one of them died. We all shed tears that day ... but we learned many life lessons through our fostering experiences and would not trade it! Over the years we have fostered lots of pregnant moms, new borns, orphaned kitties, etc... It has brought much pleasure to our lives and to others who were able to adopt a healthy, well handled and playful kitten! We adopted Giselle and she has become the Queen Cat around our house. I have always loved these pictures. Giselle was the best mommy. A very magical day to you! Wordless(ful) Wednesday - Let's Read! Sam loves to read, we spend many hours in a day reading. He gets a book and will ask ... by ask I mean hold it up and grunt at you, until you sit down and read with he,. He wants you to say the animal sounds, make the train noises and repeat, repeat, repeat the same thing a million times. I am NOT complaining one bit. I love the fact that he is only one and has a love for books already! The other day when we were all cleaning up after pie making Sam was reading one of his favorites! I just thought he was so cute! Okay, so here I am a little early on this but I decided that I wanted to start now, so I am posting about it. As of recently it seems that I have been late with everything, so maybe this is a new leaf!!! In that instant I felt that if this was it, if this was all there was to it- nothing more and nothing less- I am happy. I will take this. I am content. I have decided to take this quote and post it around my house, in my car, on my blog, just anywhere ... I think it is beautiful. It touched me because I want to feel this way all the time. I want to be at a place in my life where if I just stop for a moment this is how I would feel. I think I am a fairly optimistic person and think that over the past few years I have indeed become much closer to this feeling on a more regular basis BUT that is not enough. I want it all, and I know that I am the only one that can make it happen for ME. So as a 'New Years Resolution' starting right now, I am going to work on living my life HAPPY and no one can stop me!!! But please feel free to join me!